We have reached the second day of my picks from the wonderful Translation Database (view it here). I have chosen all of these books at random, but have tried to ensure that there is a real diversity between picks, both in terms of subject matter, and the original written languages the books were published in. However, I could not help but include both Serbian books, which sound wonderful. Heinrich Boll, recipient of the Nobel Prize for Literature, is an author whom I’d heard rather a lot about but had never read. I decided to rectify this by picking up perhaps his most famous novel in English translation, The Lost Honour of Katharina Blum. The Sunday Telegraph deems it a ‘novel of compassion and irony’, and The Times writes of the way in which ‘Boll sustains a masterly and insidious tension to the end. He is detached, angry and totally in control’. It sounded wonderfully unsettling, particularly when one takes into account the fact that its subtitle is ‘or how violence develops and where it can lead’, and I was rather excited to get started with it. Katharina Blum, our twenty seven-year-old protagonist, is at the ‘centre of a big city scandal’ when, at a party, she ‘falls in love with a young radical on the run from the police. Portrayed by the city’s leading newspaper as a whore, a communist and an atheist, she becomes the target of anonymous phone calls and sexual threats’. This drives her to shoot the offending journalist, before giving herself up for arrest. ‘Step by step, and with an affecting forensic identity, Katharina’s story is reconstructed for the reader, gradually disclosing an entire panorama of human relationship and motive. The novel is a masterful comment on the law and the press, the labyrinth of social truth and the relentless collusion of fact and fiction’. The structure works well, in that the whole has been split into very short numbered sections; it is intended to read as something akin to a police report. I am fine with novels being written in the format of a report, provided that it is done well. Here, though, I was a little put off by the way in which many of the sections are really rather dull, and have very few redeemable or memorable qualities to them. Sadly, these lacklustre sections were far more frequent than ones which I found of interest. The story tends to get bogged down with tiny details. Whilst it is fascinating, and often scary, to see how the media can affect a life, the real impact here for me came when I related the events of Katharina’s story to the ‘fake news’ scandal which has been going on for longer than we would perhaps like to believe. The development of the characters in The Lost Honour of Katharina Blum was rather slipshod; perhaps this is because we, the readers, learn about the protagonist only through the biased viewpoint of the police. I certainly lost interest at times, and debated whether to even finish reading the piece. Unfortunately, The Lost Honour of Katharina Blum did next to nothing for me. The detachment was so acute that I could feel no sympathy for Katharina, and felt merely like an isolated observer. Its translator has done a good job in rendering it into English, and the phrasing reads well whilst being rather dated; however, I simply found the book too matter-of-fact, and not entirely well paced. Widely regarded as a German classic, I wonder if I am missing something fundamental with regard to The Lost Honour of Katharina Blum. I suppose it is fair to say that whilst I liked the general idea of the book, I had rather a few qualms with its execution, and can therefore rate it no higher than two mediocre stars. Gilgi (full title, Gilgi, One Of Us) has been presented in a new English translation as part of Melville House Publishing’s Neversink Library collection. First published in its original German in 1931, Irmgard Keun’s debut novel, published when she was just twenty-six, has been rendered into the most beautiful English prose by Geoff Wilkes. In Germany, Gilgi became an overnight sensation, and Keun was driven to sue the Gestapo several years afterwards for blocking her royalties. The protagonist of Gilgi is Gisela Kron, a ‘disciplined and ambitious secretary’ in a hosiery business. Immediately admirable with her hardworking stubbornness, she is desperately ‘trying to establish her independence in a society being overtaken by fascism’. Falling in love, however, is a ‘fateful choice’ which will ‘unmoor’ Gilgi from her own position in the world, that which she has fought for so long to uphold. Gilgi is essentially a coming-of-age novel; whilst Gilgi is biologically older than a character whom we might expect to undergo such a formative transformation, she learns much about the world around her, and about herself, as the novel progresses. She is made aware of her own strengths and weaknesses, and the place which she occupies in both public and private spheres in her home city of Cologne. Keun’s choice of opening is fascinating, and very much sets the tone for the whole: ‘She’s holding it firmly in her hands, her little life, the girl Gilgi. She calls herself Gilgi, her name is Gisela. The two i‘s [sic] are better suited to slim legs and narrow hips like a child’s, to tiny fashionable hats which contrive mysteriously to stay perched on the very top of her head. When she’s twenty-five, she’ll call herself Gisela. But she’s not at that point quite yet.’ She is a cool-headed character, and faced with many of the challenges as she is, many other protagonists would have inevitably had some sort of breakdown or existential crisis. Not Gilgi. She is a firm believer in dealing with everything thrown at one, and she does so largely flawlessly. Gilgi’s familial situation is exposed to the reader almost immediately: ‘No one speaks. Everyone is earnestly and dully occupied with their own concerns. The complete lack of conversation testifies to the family’s decency and legitimacy. Herr and Frau Kron have stuck together through years of honorable tedium to their silver wedding anniversary. They love each other, and are faithful to each other, something which has become a matter of routine, and no longer needs to be discussed, or felt’. Gilgi is very of its time; Keun is never far away from inserting snippets of social history, or the economic struggles which many around Gilgi faced on a daily basis. So many issues which are still of much importance in our modern society are tackled here – patriarchy, sexual relations, pregnancy out of wedlock, and the very concept of womanhood. It is an astoundingly frank work, both ‘piercingly perceptive and formally innovative’. Gilgi is told on the morning of her twenty-first birthday, for instance, that her parents are not biologically hers, and then given the details of her birth mother. Gilgi herself provides a contrast to the societal norms held for women during the period; she is proactive, has her own job, and pays for her own things: ‘I want to work, want to get on, want to be self-supporting and independent… At the moment I’m learning my languages – I’m saving money…’. She may still live at home with the Krons who raised her, but she makes clear that her biggest aim in life is to fund her own apartment. Until she meets Martin, the idea of being a kept woman repulses her; indeed, even with Martin, Keun has allowed Gilgi her independence. The pair move in with one another to the vacant apartment of one of Martin’s friends; he is unshakeable in his existence and largely lives hand to mouth, so it is up to Gilgi to work and pay for everything. Again, tradition is eschewed here, and Keun demonstrates to a point that a woman of the period could make things work by herself. Gilgi’s grand ambitions still live within her, even when she becomes conscious that they are not perhaps achievable due to the pregnancy which befalls her naive self. I was put in mind of reading Dorothy Richardson’s Pilgrimage at several points during the novel; the narrative voice which Keun has crafted simultaneously weaves the first and third person perspectives together in a beguiling manner. There is a wonderful stream-of-consciousness approach to the whole in places. Gilgi is a fascinating, deeply complex, and thoroughly realistic character. Each individual consequence which she has to face is tackled with the utmost verisimilitude. Gilgi is a stunning novel, with prose echoes of Hans Fallada and Stefan Zweig. It is absolutely wonderful, and sure to delight those with a fondness for strong female characters, or who want to read a striking piece of translated literature. Tales of the German Imagination, from the Brothers Grimm to Ingeborg Bachmann, is a ‘collection of fantastical, strange and compelling stories from 200 years of German literature’. It ‘includes such literary giants as the Brothers Grimm, Kafka, Musil and Rilke, as well as many surprising and unexpected voices’. The introduction has been written by translator Peter Wortsman, who has also edited the collection. In it, he states that ‘fear has indeed proven rich fodder for fantasy in the German storytelling tradition’, and that ‘the darkest German literary confections are such a pleasure to read because they are also spiked with humour – therein lies their enduring appeal’. Wortsman goes on to say that in editing the anthology, he has aimed to include stories and extracts ‘from a span of several centuries and from various literary movements born of crisis and doubt’. Tales of the German Imagination is split into three separate parts, and includes predominantly male authors. In fact, Ingeborg Bachmann, mentioned in the title, is one of only two females featured in the collection. There are some other famous names amongst the authors – E.T.A. Hoffmann, Heinrich Heine and Rainer Maria Rilke, for example. The anthology begins with three stories by the Brothers Grimm – ‘The Singing Bone’, ‘Hansel and Gretel’ and ‘The Children of Hameln’, which is their telling of a tale more commonly known as ‘The Pied Piper of Hamelin’. Whilst these stories are relatively well known in the English speaking world, others from the less popular authors feel fresh and add a nice twist to such a collection. The stories themselves provide a varied mixture of themes and styles. Some are told from the first person perspective and others from the third, and we are immersed into a variety of historical settings where we meet a whole host of diverse protagonists and bystanders. The settings too are diverse, from Germany to Italy and from the Netherlands to the United States. Several of the tales of much longer than others – ‘The Sandman’ by E.T.A. Hoffmann, ‘Rune Mountain’ by Ludwig Tieck and ‘Peter Schlemiel’ by Adelbert von Chamisso, for example, read more like novellas than short stories. The majority are standalone pieces, but several of the tales have been taken from longer works of fiction. Throughout, many different themes and literary elements have been made use of, from magic, the unexplained and the macabre to poverty, war and peace and the concept of madness. The stories themselves have been nicely varied for the most part, and there is sure to be something to suit the tastes of even the most particular short story connoisseur. All relate to the human psyche in some way, and the most stunning and unsettling are provided by the Brothers Grimm, Georg Heym and Kurt Schwitters. Some of the tales are rather disturbed and the subject matter is not easy to read about at times, but the starkness of their telling and events certainly pack a punch. In Georg Heym’s ‘The Lunatic’, his protagonist ‘pranced about with two skulls stuck to his feet, like eggshells he’d just stepped out of and hadn’t yet shaken off… and then he stamped down, splotch, so the brains splattered nicely like a little golden fountain’. In Kurt Schwitters’ ‘The Onion’, the protagonist tells us: ‘It was a very momentous day, the day on which I was to be slaughtered… I had never yet in all my life been slaughtered’. In some cases, the year in which the story was published is included below its title, but in others the life span of the author is included. This inconsistency is a little confusing at times, as is the way in which none of the stories have been included in a chronological order. Ordering the stories in such a way would have made it easy for the reader to see how the darker elements of German fiction have progressed as the years have passed. The biographical information pertaining to each of the authors has been tucked away in an appendix at the back of the volume, and it is a shame that these short yet informative paragraphs have not been paired with the stories themselves. Thomas Mann is an author whose work I have always wanted to read. Rather than starting with one of his weightier tomes, I thought I would plump for Death in Venice, one of his short yet major works. I found a lovely old Penguin edition of the work, bound up with two other novellas (Tristan and Tonio Kroger), whilst on a mini BookTube/blogger meet-up with the lovely Katie. Translated from the German by H.T. Lowe-Porter and first published in 1912, Death in Venice flows just as well as it would had English been its original language. Such thought and intelligence has been given to both the writing and translation processes. A short work even by novella standards, the edition which I read runs to just 78 pages. 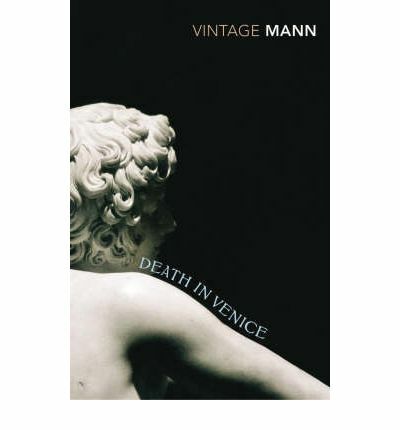 Death in Venice‘s plot, and the way in which Mann writes of it, veers toward the psychological. It ‘tells how Gustave Von Eschenbach, a writer utterly absorbed in his work, arrives in Venice as the result of a “youthfully ardent thirst for distant scenes”, and meets there a young boy by whose beauty he becomes obsessed. His pitiful pursuit of the object of his abnormal affection and its inevitable and pathetic climax is told here with the particular skill the author has for this shorter form of fiction’. The craft of writing, and the way in which it can so utterly absorb one, has been woven in too: ‘… their creator could hold out for years under the strain of the same piece of work, with an endurance and a tenacity of purpose like that which had conquered his native province of Silesia, devoting to actual composition none but his best and freshest hours… yes, even while his faithful following revelled in the characters he created, he, the young artist, was taking away the breath of the twenty-year-olds with his cynic utterances on the nature of art and the artist life’. Mann conjures up the setting and protagonists so well from the novella’s very beginning: ‘Gustave Aschenbach – or Von Aschenbach, as he had been known officially since his fiftieth birthday – had set out alone from his house in Prince Regent Street, Munich, for an extended walk… May had begun, and after weeks of cold and wet a mock summer had set in. The English Gardens, though in tenderest leaf, felt as sultry as in August and were full of vehicles and pedestrians near the city. But towards Aumeister the paths were solitary and still, and Aschenbach strolled thither, stopping awhile to watch the lively crowds in the restaurant garden with its fringe of carriages and cabs’. His character descriptions are both striking and exquisitely rendered, and they build marvellously: ‘In his right hand, slantwise to the ground, he held an iron-shod stick, and braced himself against its crook, with his legs crossed. His chin was up, so that the Adam’s apple looked very bald in the lean neck rising from the loose shirt: and he stood there sharply peering up into space out of colourless, red-lashed eyes, while two pronounced perpendicular furrows showed o his forehead in curious contrast to his little turned-up nose. Perhaps his heightened and heightening position helped out the impression that Aschenbach received. At any rate, standing there as though at survey, the man had a bold and domineering, even a ruthless, air, and his lips completed the picture by seeming to curl back, either by reason of some deformity or else because he grimaced, being blinded by the sun in his face; they laid bare the long, white, glistening teeth to the gums’. Of Tadzio, the young Polish boy whom Von Aschenbach becomes infatuated with, Mann writes: ‘The lad had just reached the gate in the railings, and he was alone. Aschenbach felt, quite simply, a wish to overtake him, to address him and have the pleasure of his reply and answering look; to put upon a blithe and friendly footing his relation with this being who all unconsciously had so greatly heightened and quickened his emotions’. The scenes which Mann weaves before our very eyes are often gorgeous: ‘But evening too was rarely lovely: balsamic with the breath of flowers and shrubs from the near-by park, while overhead the constellations circled in their spheres, and the murmuring of the night-girded sea swelled softly up and whispered to the soul. Such nights as these contained the joyful promise of a sunlit morrow, brim-full of sweetly ordered idleness, studded thick with countless precious possibilities’. Many constructs, concepts and ideas are woven into Death in Venice, causing it to feel like an incredibly rich and almost intense read. The way in which it has been written, with the use of an omniscient narrator, adds real texture to the piece, and focuses not just upon the protagonists, but upon society as a whole: ‘A solitary, unused to speaking of what he sees and feels, has mental experiences which are at once more intense and less articulate than those of a gregarious man. They are sluggish, yet more wayward, and never without a melancholy tinge: sights and impressions which others brush aside with a glance, a light comment, a smile, occupy him more than their due; they sink silently in, they take on meaning, they become experience, emotion, adventure’. The novella is well focused upon the concepts of beauty and art, and how they have the ability to affect every single one of us. Death and illness, and the sheer power which they wield, are personified throughout, becoming just as important as the characters themselves. Much Ancient Greek mythology has also been alluded to, and I loved this element of the book particularly. The story here is well rendered, but the whole does not come across as plot heavy; rather, there is more of interest within the writing itself, and the sheer control which Mann has over the vocabulary which he has so carefully selected. Death in Venice is almost worth reading for its exquisite descriptions alone. Mann captures scenes and emotions perfectly throughout, and is continually aware of the influence of the outside world upon his characters: ‘With closed lids Aschenbach listened to this poesy hymning itself silently within him, and anon he thought it was good to be here and that he would stop awhile’. Death in Venice is a tale which certainly deserves to be savoured. I purchased German author Jenny Erpenbeck’s Visitation whilst I was in Berlin last year, and was mesmerised by its prose and the haunting, oppressive feel which she brought into the tale. I had not read any of her other books, but when randomly searching for Portobello Books, I spotted a lovely omnibus edition of two of her novellas – The Old Child and The Book of Words – which I could not resist. The Old Child, the first novella in the collection, tells the story of a lonely fourteen-year-old girl, who has lost her memory for a reason which we as readers do not discover. Not knowing what to do with her, the authorities put her into a Home for Children. She remembers nothing of her past life, and does not fit in with anyone she meets. The things which happen to her whilst at the Home and during her lessons at school are so very sad. Erpenbeck builds up such sympathy for her. The saddest element of all for me is the fact that the young girl – or ‘the old child’, as she is seen by others – is nameless for the entirety. She has no name, no memories, no knowledge of her past; she has nothing, in fact. Erpenbeck’s writing is pitch perfect, and in The Old Child she has created an original and rather haunting story, which I am not going to be able to forget. I was going to wait for a while before I began the second novella in the book, but my curiosity got the better of me, and I started it almost immediately. The Book of Words is creepy, unsettling and rather horrible at times, and despite the awful feeling of foreboding and claustrophobia which overcame me as soon as it began to gather momentum, I still struggled to put it down. I cannot reveal too many details of The Book of Words for fear of giving the entire plot away. Suffice to say it has some similarities to The Old Child, but it is also marvellously original. The narrative voice used works perfectly. Erpenbeck is marvellous at challenging the perceptions and long-held ideals of her readers, and at crafting tales which veer off in unexpected directions. I would – and will, to everyone I meet – highly recommend any of the three novellas mentioned here (Visitation, The Old Child and The Book of Words). Erpenbeck is a startling author who very much deserves to have a wider readership. A Small Circus was written in 1931 and is set just two years before this, in 1929. It takes place in a small German town, and many of the details which fill its pages are autobiographical. The introduction to this volume by Jenny Williams is an informative one, even for a reader who has studied Nazi Germany for many years, both at school and University. Williams states that the novel is ‘one of the best fictional representations of the forces that brought the Weimar Republic to its knees and paved the way for National Socialism’. Throughout, many different characters are followed. A list of Dramatis Personae has been included, which is most handy when there are over 78 characters in the novel, the majority of whom are named. All of these characters create the community, and are therefore from all walks of life. We meet a disgruntled journalist named Tredup, who works for the Pomeranian Chronicle, farmers who are plotting their revenge upon ‘greedy officials’, and a ‘mysterious travelling salesman’ from Berlin, who seems intent on stirring up dissent within the town. All of these characters have been placed against a background in which the Nazis grow ever more powerful, and where the Communists are battling with them at every turn. In this novel, Fallada has created a political satire of sorts, encompassing such elements as battles between the poor and rich, Left and Right and bosses and their workers, and the vast disparities between each pairing. Whilst the novel is rather a long one, standing at 578 pages, each chapter has been split into separate short sections, almost like a series of vignettes. Whilst the writing style throughout works well, the sheer length and vast list of characters are rather off putting, and they make it seem as though the reader is wading through treacle almost from the outset. Whilst A Small Circus is interesting from a political and historical standpoint, as a novel it does feel over confused.